Production has begun on Gotham Season 3, premiering Monday September 19th on FOX. Who is holding Bruce Wayne captive? 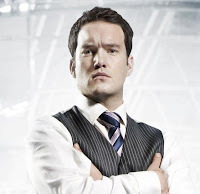 GEEKEDFEST is coming to Newport Centre on 6th & 7th August and are excited to announce a local lad to the weekend with none other than the actor, singer, all-round great guy…Gareth David-Lloyd! Gareth is well known in the TV circuit; he has an extensive list of appearances from TV to Theatre and even voice acting for the gaming industry. Gareth’s first appearance was in the TV show “Absolute Power” as Pope Idol. From then he starred in shows such as “Casualty”, “Mine all Mine” and “Beethoven”. In 2008 Gareth became the well-known “Ianto Jones” character in Doctor Who to then continue the role into Torchwood. After 38 episodes (he will be back though!) Gareth worked on “Waterloo Road” and “Holby City” to name a few and more recently in 2014 voiced the character “Solas” in Dragon Age: Inquisition. Phew! Apart from being on-screen Gareth has appeared in many theatre shows and fronts the metal progressive bank “Blue Gillespie”. This is Gareth’s first comic-con in his home-town and will be at GeekedFest all weekend available for autographs and photo-booth sessions. He is also supporting GeekedFests’ chosen charities Popsy and Ty Hafan. You can buy tickets to GEEKEDFEST online now at www.geekedfest.com. VIP tickets are only available until midnight 31st July. Villains take centre stage in the release of Gotham:The Complete Second Season, out now on Digital HD and on Blu-ray™ and DVD August 1. 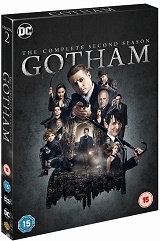 Gotham: The Complete Second Season features a star-studded cast including Ben McKenzie (Southland, The O.C.) as Jim Gordon, Donal Logue (Vikings, Sons of Anarchy) as Detective Harvey Bullock and David Mazouz (Touch) as the young Bruce Wayne. 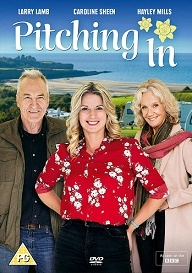 To celebrate the HE release of season 2 we’re giving you the chance to win a DVD copy! Darkness saturates Gotham in its triumphant second season as the city’s villains continue to rise from the shadows, each more ambitious and depraved than the last. As Penguin continues to solidify his control over Gotham’s underworld, the battle for power in the city has become a game of interesting alliances on both sides of the law – with detectives Jim Gordon and Harvey Bullock at the forefront of the fight against crime in the dangerously corrupt city. Season Two witnesses Gordon’s moral compass wavering as he confronts Gotham City’s most notorious criminals while simultaneously attempting to gain the trust of young Bruce Wayne, a boy now clearly on the path toward the man he is destined to be. And all the while, Gotham follows the intriguing origin stories and evolution of some of the city’s most infamous personalities, including Edward Nygma/The Riddler, Selina Kyle/Catwoman, Hugo Strange and Mr. Freeze. Wayward Pines 2x10 "Bedtime Story" (Season Finale) - As the Abbies descend upon the town, Theo is forced to make a decision that could seal humanity's fate in the all-new Bedtime Story season finale episode of WAYWARD PINES airing Wednesday, July 27th on FOX. Dark Matter 2x04 "We Were Family" - Three reconnects with his former crew while the Android finds herself in unique company. The Night Of 1x03 "A Dark Crate" - Awaiting his formal arraignment at Rikers Island, Naz (Riz Ahmed) realizes that his survival, or perhaps his demise, rests with a particular inmate, Freddy (Michael Kenneth Williams). Everyone plays a part. 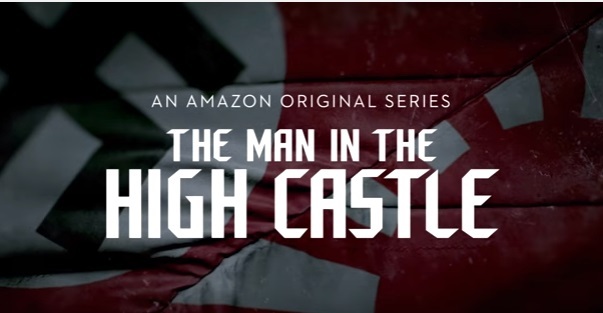 A brand new season of Man in the High Castle is coming soon. Watch this new trailer teasing the exciting events in the second half of The Last Ship Season 3! 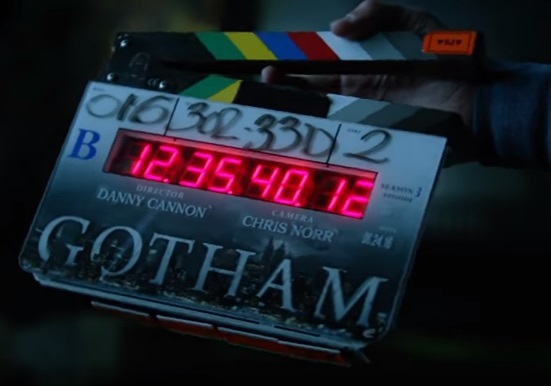 Production has begun on Gotham Season 3, premiering Monday September 19th on FOX. Who is Oswald aiming this gun at? The Last Ship 3x07 "In The Dark" - The Nathan James must evade an overwhelming threat. 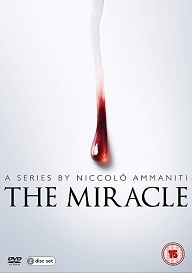 A revelation in St. Louis puts President Michener in a terrible position. Ballers 2x02 "Enter the Temple" - Spencer makes a play to poach a big client from Andre (Andy Garcia), his business rival, while struggling to find a quick fix for his physical ailments. Ricky considers where to head to next. Reggie (London Brown) fights for what he believes Vernon (Donovan Carter) owes him. Feeling underpaid and undervalued, Tracy (Arielle Kebble) takes a stand with her boss. Charles gets insights from his coach. Written by Evan Reilly; directed by Julian Farino. SHOOTER is an uncompromising exploration of the definition and evolution of a hero. Ryan Phillippe (“Secrets and Lies”) is a producer on the project and will star as Bob Lee Swagger, an expert marksman living in exile who is coaxed back into action after learning of a plot to kill the president. Omar Epps (“House”) plays Isaac Johnson, an ex-Marine and former commanding officer of Swagger. Now a Secret Service Agent, he solicits Swagger’s expertise for a clandestine operation that has disastrous results. Vice Principals 1x02 "A Trusty Steed" - Gamby (Danny McBride) and Russell (Walton Goggins) invade Dr. Brown’s (Kimberly Hébert Gregory) private space; a school evaluator spooks the vice principals. 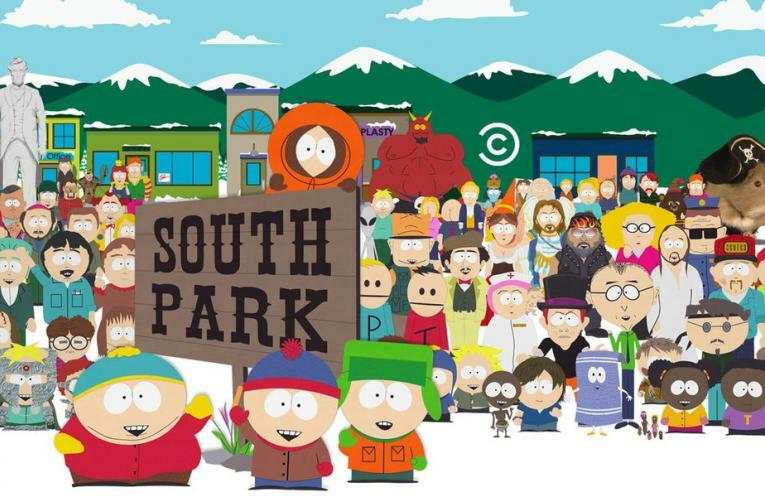 Written by Danny R. McBride & John Carcieri; directed by Jody Hill. Texas cop and former Navy SEAL Martin Riggs suffers the loss of his wife and baby and he moves to Los Angeles to start anew. There, he gets partnered with LAPD detective Roger Murtaugh who, having recently suffered a “minor” heart attack, must avoid any stress in his life. Based on the movie franchise. The Night Of 1x02 "Subtle Beast" - As attorney John Stone (John Turturro) counsels Naz, lead detective Dennis Box (Bill Camp) investigates the crime. Paw Patrol: Meet Everest! 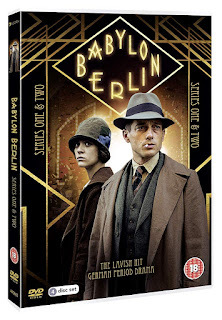 is out on DVD on the 18th July, and to celebrate we have a great competition for you and 2 copies on DVD to give away! Join the PAW Patrol for 7 cool rescues featuring the team’s new snow pup hero! Meet Everest in her first-ever rescue when she saves a stranded Jake, and check out her PAWsome skills as she plows through a snowed-over Adventure Bay and rescues deer from some slippery ice! Then join Skye and the team for 4 more high-flying adventures! It’s power to the pup girls in these new to DVD Paw Patrol adventures! Everest is the latest pup to showcase her PAWsome skills as she joins Skye and the rest of the puppy crusaders. A loveable snowy mountain pup, Everest is great at clearing snow from the roads. Ice or snow, she’s ready to go! This spirited pre-school adventure series returns as a winter storm causes trouble all over Adventure Bay. Ryder, Rubble, and Everest are ready to tackle the new snow filled quests. Will they get there in time to clear all of the snow and ice? Will a stranded baby deer make it back to its family? 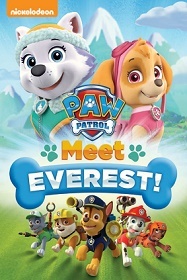 You can count on Everest, Ryder and the pup patrol pack for more high-flying adventures! Keep your eyes peeled this summer for the Morrison’s Kids Entertainment event which runs from the 25th July – 14th August for lots of Paw Patrol fun. 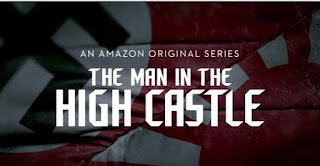 From Eric Kripke (“Revolution,” “Supernatural”), Shawn Ryan (“The Shield”) and the producers of “The Blacklist” comes this thrilling action-adventure series in which a mysterious criminal steals a secret state-of-the-art time machine, intent on destroying America as we know it by changing the past. Our only hope is an unexpected team: a scientist, soldier and history professor who must use the machine’s prototype to travel back in time to critical events. While they must make every effort not to affect the past themselves, they must also stay one step ahead of this dangerous fugitive. Can this handpicked team uncover the mystery behind it all and end his destruction before it’s too late? The cast includes Abigail Spencer, Matt Lanter, Malcolm Barrett, Goran Visnjic, Paterson Joseph, Sakina Jaffrey and Claudia Doumit. An uprising. A struggle. An opportunity... but for whom? Tyrant Season 3 premieres Wednesday July 6th on FX! Solar Warriors is out on Bluray on the 11th July, and to celebrate we have a great competition for you and 3 copy on Bluray to give away! In the future, a nuclear war has left Earth as a desert wasteland, where the ocean has dried up. The world is now ruled by a sinister corporation known as the E-Protectorate. Beyond ruthless, they hoard water and take children from their families to train them to work for the corporation. But when a group of young rebels discover an extraterrestrial sphere with healing powers, they set out to release the planet from the clutches of the oppressors. With its dazzling visual effects and mesmerizing score, Solarbabies is pure entertainment from start to finish. Combining action and drama with friendship and humor, LETHAL WEAPON reboots the hit movie franchise, as it follows classic cop duo Riggs and Murtaugh, who are working a crime-ridden beat in modern-day Los Angeles. Grief-stricken after the loss of his young wife and unborn child, ex-Navy SEAL-turned-detective MARTIN RIGGS (Clayne Crawford, “Rectify”) moves to California to “start over” at the LAPD. He’s paired up with ROGER MURTAUGH (Emmy Award nominee Damon Wayans, Sr., “My Wife and Kids,” “In Living Color”), who’s just coming back to the job after a near-fatal heart attack. Riggs’ penchant for diving headfirst into the line of fire immediately clashes with Murtaugh’s prudent, by-the-book technique. It’s clear from the moment they meet, this partnership could be lethal. But during their first case together, Riggs drags Murtaugh on a high-speed chase culminating inside the Long Beach Grand Prix and into a seaport shootout with drug dealers – and despite his protests, the older cop feels more alive than he has in years. The galaxy's most badass bounty hunters are back. Killjoys Season 2 premieres July 1st on Syfy.